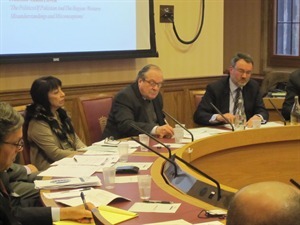 GSF hosted a seminar on Pakistan in Committee Room 4A of the House of Lords on Wednesday 13th March 2013. 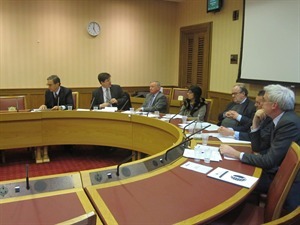 The seminar panellists were: Owen Bennett-Jones, writer and journalist, author of ‘Pakistan: Eye of the Storm’; Robert Brinkley CMG, UK High Commissioner to Pakistan (2006-2009); Rt Hon Sir Malcolm Bruce MP, Chairman, International Development Select Committee; Baroness Falkner of Margravine, Chair, Liberal Democrats House of Lords Parliamentary Policy Committee on Foreign Affairs; Professor Anatol Lieven, Chair of International Relations, Department of War Studies, King’s College London, Senior Fellow, New America Foundation, Washington DC; Patrick Moody, Head of Pakistan and Afghanistan Department, Foreign and Commonwealth Office; and Jonathan Paris, Senior Fellow, South Asia Center, Atlantic Council. 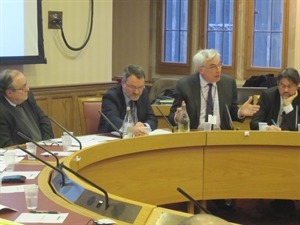 To download a summary of the seminar proceedings, click here.